by Erica Noboa The “Merc with a Mouth” has finally hit the big screen, and boy, does he deliver! Filled with amusing one-liners, gory action, and a ton of fan service for comic-book fans, Deadpool is hard not to enjoy. The film has already become one of the highest-grossing R-rated movies in history, and the sequel is rumored to be underway. With the opening weekend box office numbers exceeding $130 million, it’s safe to say that Deadpool isn’t going away anytime soon. Ryan Reynolds revealed that he has spent the last 11 years pestering 20th Century Fox to bring Deadpool to the big screen. He was granted a short reprieve when the anti-hero had a supporting role in X-Men Origins: Wolverine, but as Deadpool never fails to point out in this new incarnation, the movie was a career low. Nearly two years ago, test footage for a Deadpool movie that was apparently never going to get made was “accidentally” leaked to the public, and the rest is history. Whatever divine intervention gifted the Internet with the action-packed footage has turned out to be the best thing to happen to comic-book movies in a long time. 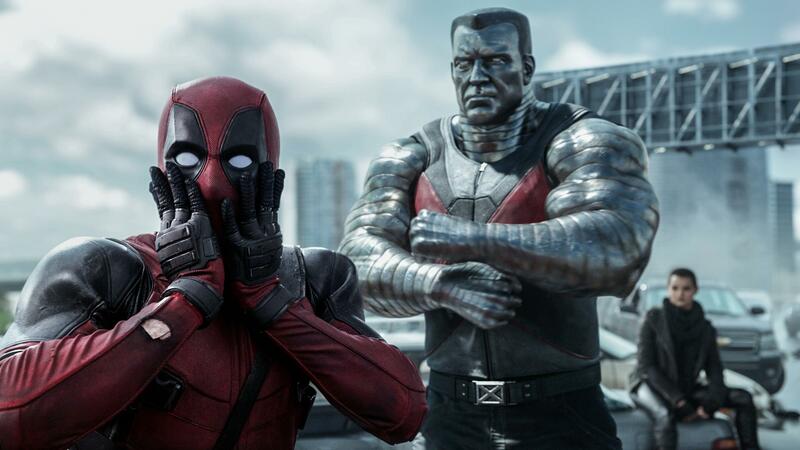 Shortly after the footage caused an excited uproar from fans, Fox greenlit the project, giving full creative license to director Tim Miller, star Ryan Reynolds, and “the real heroes,” screenwriters Rhett Reese and Paul Wernick. Miller has perfectly married the wild antics of the lovable Deadpool while keeping the plot controlled and driven on a purposeful path. The main reason why this film works so well is Ryan Reynolds, who seizes the chance to do right by the character. He’s charismatic, exuberant, and larger than life, which is everything Wade Wilson (Deadpool’s alter ego) should be. Deadpool exists as a pillar in Reynolds’s career, and perhaps its shrewdest choice is the way it both conceals and demolishes his physical beauty. This turns out to be a small price to pay when his tongue is so clever and sharp. With 20th Century Fox’s original skepticism about how well-received this character would be by audiences, the film plays it safe when it comes to the plot and villains. It’s an origin story that evolves into an equally straightforward tale of revenge. Wilson finds his true love, is diagnosed with terminal cancer, and eventually enters a research facility that may or may not cure him. After being tortured and turned into a disfigured monster, Wilson spends the rest of the movie hunting down Ajax, the “British villain” in charge of the research project. The sequence where Wade is held prisoner in Ajax’s laboratory is undoubtedly the harshest, but his consistent sense of humor keeps these scenes from feeling entirely dreary. Reynolds shows us how a degree of lightheartedness can keep a person alive even as his physical body is ripped to shreds. Deadpool may have his healing abilities — a power that basically makes him immortal — but his real superpower is his unstoppable mouth. He’s so broken that he needs to remind himself that he’s still alive. His immature jokes are his armor — armor used to combat his cruel origin story. Whether he’s pointing out that the studio didn’t have enough cash to recruit more X-Men, or jabbing at how attractive Hugh Jackman is, Deadpool is sure to pull a few hearty laughs from its audience. This is not a heavy film by any means, but it’s easy to appreciate how Reynolds builds this character out of those rapid fire jokes. Deadpool doesn’t hold back when it comes to its gory, well-crafted action either. The choreography is swift and relentless, with Deadpool switching from pistols to katanas, severing heads before round-housing them clear off their shoulders. He breaks bones and the fourth wall, providing hilarious commentary on what is unraveling, such as counting down how many bullets he has left or reflecting on whether or not he left the stove on. These solid sequences are full of creative violence and wit. Marvel Studios has created an unstoppable cinematic force, while DC is fighting to catch up and preparing to unleash Batman v. Superman. In the midst of this exciting era for superheroes, we have Deadpool. He’s a wisecracking deviant who doesn’t think twice about turning his enemies into human kabobs. In fact, he praises himself for it. This may come across as quite sadistic (and it is), but Deadpool’s enthusiasm is infectious. Viewers can’t help but root for this unlikely hero as he gleefully slaughters bad guys left and right. Ryan Reynolds and his team have done an amazing job adapting Deadpool to film, and whether you’re a superhero fan or not, I’m confident you’ll have a ball. Tags: Erica Noboa. Bookmark the permalink.